Pickling cucumbers bear small, blocky fruits with firm flesh and tender skin that are ideal for making all types of pickles. This long-standing variety is also great used as a slicing cucumber when allowed to reach full size. This warm-weather vegetable is an easy, vigorous grower. Boston Pickling cucumbers bear small, blocky fruits with firm flesh and tender skin that are ideal for making all types of pickles. This long-standing variety is also great used as a slicing cucumber when allowed to reach full size. This warm-weather vegetable is an easy, vigorous grower. Cucumbers require rich, well-drained soil, a long rotation cycle, consistent moisture and proper spacing help reduce stress on plants and avoidance of common cucumber diseases like scab and mosaic. Cucumbers, corn and beans grow very well when planted together. 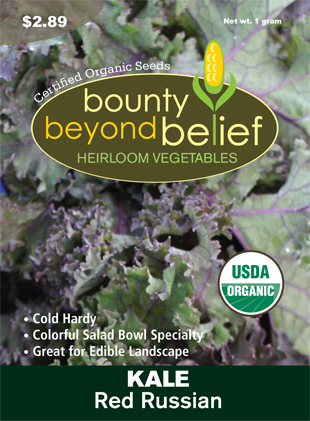 All three of these vegetables love warmth, rich soil and adequate moisture. Cucumbers also form a great duet with sunflowers using the sunflowers for strong support for the vines. Cucumbers do not like sage, potatoes or rue. The cucumber is believed native to India and has been cultivated in western Asia for 3,000 years. From India, it spread to Greece and Italy, where the Romans were especially fond of the crop, and later into China. It was probably introduced into other parts of Europe by the Romans, and records of cucumber cultivation appear in France in the 9th century, England in the 14th century. The Spanish introduced cucumbers to the New World and by the 1500’s, were cultivated by the Native Americans. The pilgrims were growing them by the 1600’s. Though cucumbers were brought early from the Old World, grown in many a garden, and are mentioned in several eighteenth-century advertisements, nothing is found to be said about varieties until 1806. Boston Pickling, first available in the 1800’s, yields lots of short, plump cucumbers about 6 inches long that make great pickles. Lemon Cucumber which looks vaguely like a lemon was introduced around 1894. They are very mild with a novel color and shape.